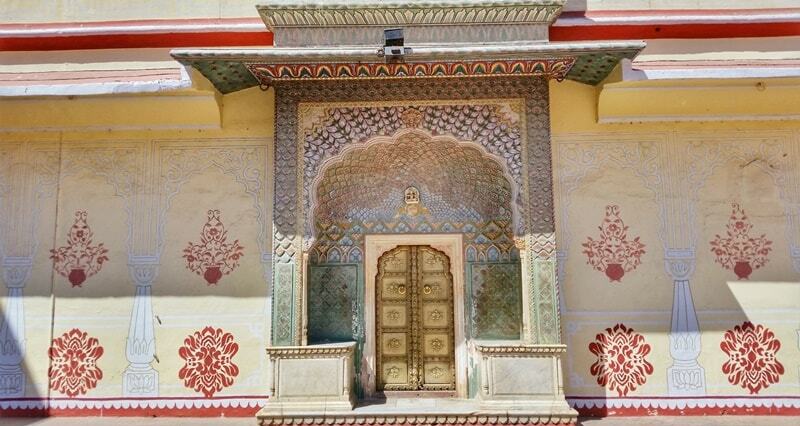 Rajasthan can be considered a land of palaces, and there are several palaces in Jaipur to see. If you want to make it a day of palaces, it’s pretty reasonable to visit all of these famous palaces in Jaipur in one day! 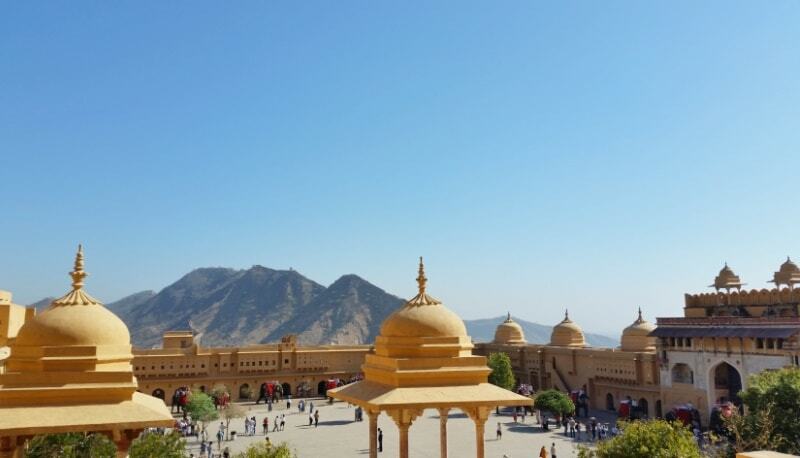 Having a palace day can fit in perfectly to your itinerary for 3 days in Jaipur. You can also make it a day of forts in Jaipur too! See below for more information about each of these palaces, as well as some of the best places to eat when you’re exploring these royal monuments. 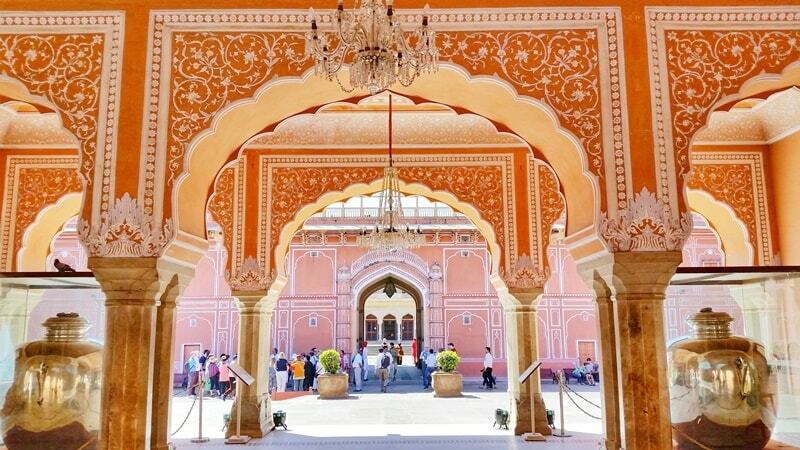 Have a look at the map of Jaipur palaces below to plan out your day! Rajasthan as a whole is full of rich history. Most of the major palaces and museums all over Rajasthan will offer audio guides at the very least. Some places will also have guides available. These could be worth paying for at least once so that you can get a basic introduction to the history of the area that is known as Rajasthan today! 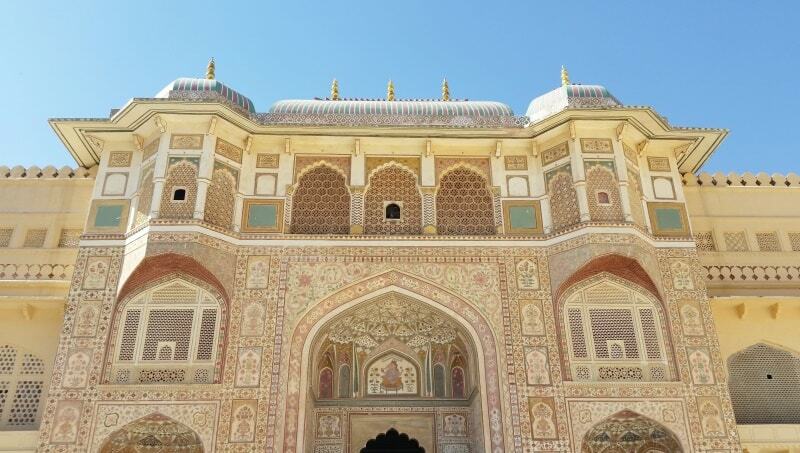 For Jaipur, take a look at this tour to get a deeper understanding of Indian history. A unique way to explore Jaipur could be to take this night tour that starts at 10pm. To explore more tours in Jaipur, the Golden Triangle, and beyond, be sure to have a look at these tours. You can start off the day by visiting the City Palace. 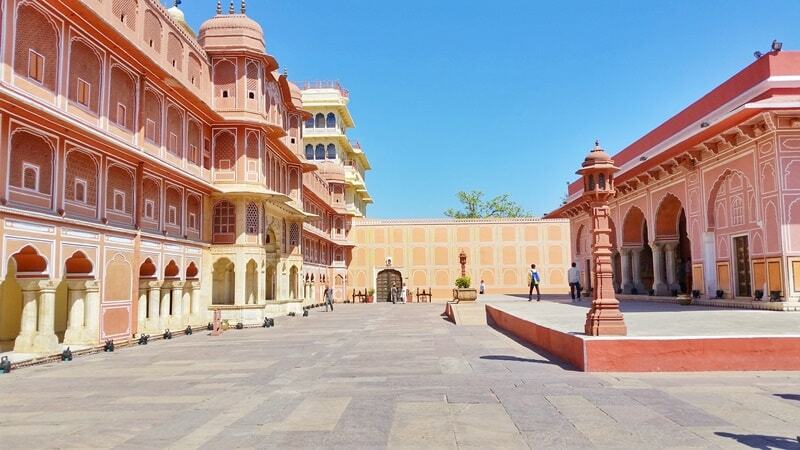 The Jaipur City Palace is located in a convenient part of Jaipur, and it’s a way to learn more about the different aspects of the royal lifestyle and what life was like in the past. If your trip to India is doing the Golden Triangle loop only with Jaipur being the only city in Rajasthan you’re visiting, then the Jaipur City Palace is worth a visit. The entry fee to City Palace was 500 rupees (US$8) for foreigners. There is also a “Royal Grandeur” tour for 2,000 rupees (US$30) that would give you access to more of the palace. This is the iconic famous pink palace that you may have seen in pictures! So once you’re finished up at City Palace, you can take a 10-15 minute walk to make your way to Hawa Mahal. 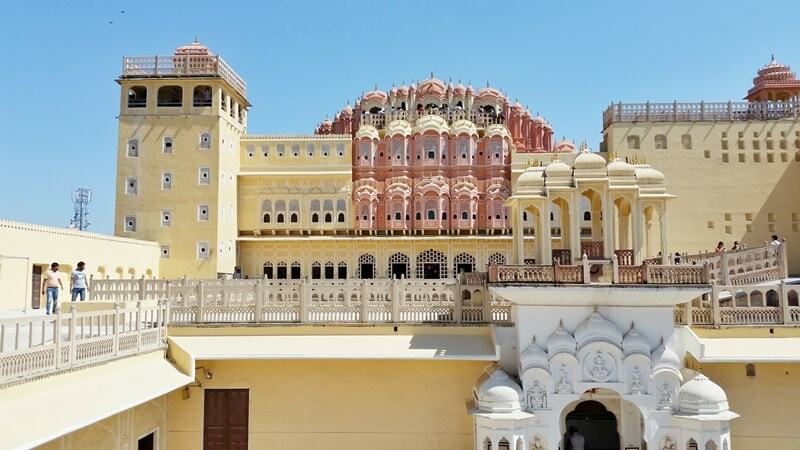 Note that the entry gate for the Hawa Mahal is located on a different street from the street you’ll visit to see the iconic front-facing pink palace. The Hawa Mahal complex has a few areas to roam around. It’s not too big, so this could be a quick visit if you want it to be. The entry fee to Hawa Mahal was 200 rupees (US$3) for foreigners. 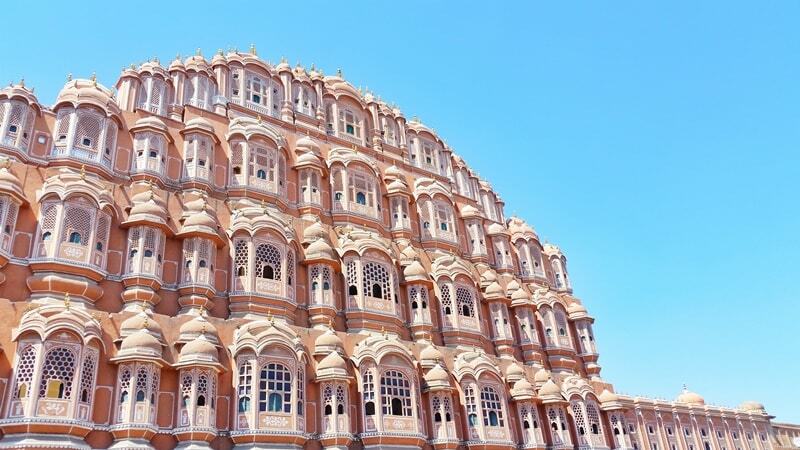 Once you’re finished up at the Hawa Mahal, you can now head up north to visit the Amber Palace. Amber Fort can be considered the best fort around Jaipur. Part of this is because within the fort complex is an impressive palace. There are also 2 more forts that are within the vicinity of Amber Palace. If you are interested in visiting the other forts, you may consider saving Amber Palace for another day to make it a fort day in Jaipur! The entry fee to Amber Palace was 500 rupees (US$8) for foreigners. 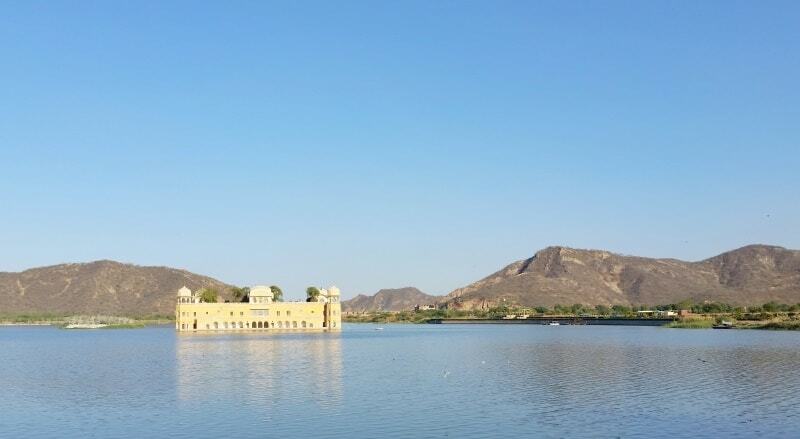 Once you’ve finished up at Amber Palace and the fort, a walk along a lake is a perfect way to finish off your day! The Jal Mahal is a palace that’s located in the middle of the lake which means that it offers scenic views on the water. There’s a path along the lake which makes it a nice place to go for a stroll at sunset. The area is usually lively with lots of people around, especially in the evening. This can be a good place to buy some souvenirs too. The guidebook I’d been using says this palace has no public access. Where to next after a day of Jaipur palaces?! 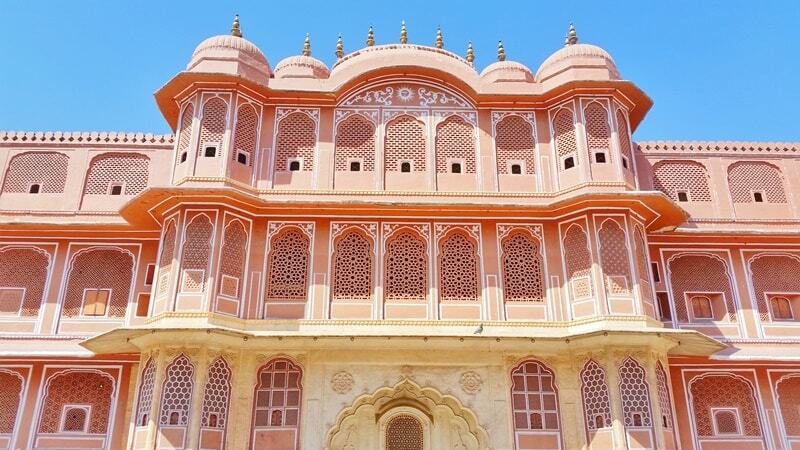 How about a day of Jaipur’s famous forts?! 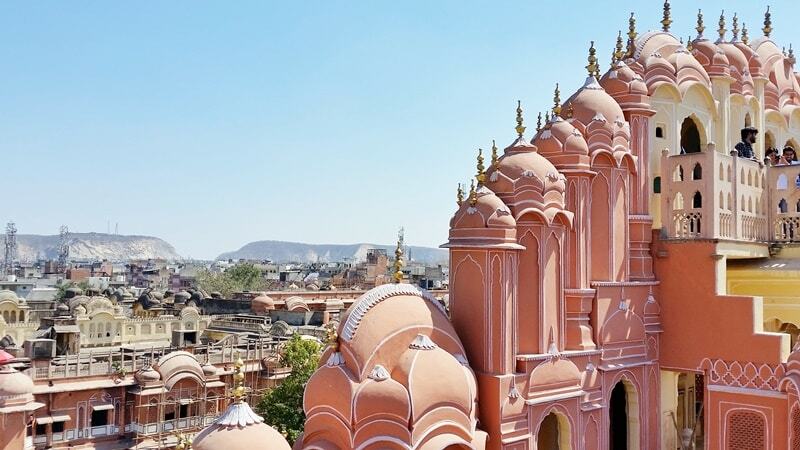 And add these must-visit places to your Jaipur itinerary! HAPPY EXPLORING PALACES IN JAIPUR!